Home › Blog › Can industrial cable be used in industrial x-ray machines? 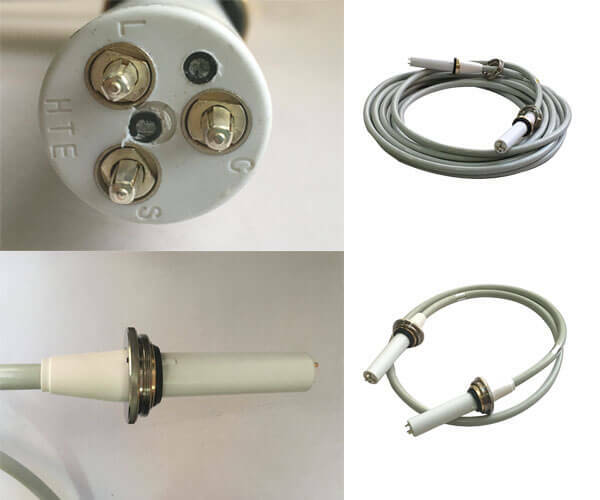 The high voltage connector for X-ray machine is different from the ordinary industrial cable. The high voltage cable for X-ray machine can also be used for industrial X-ray machine. The similarities and differences between industrial cable and ordinary cables are described below. Like cables used in X-ray machines, industrial cable are usually made up of several or groups of wires (at least two in each group) twisted together to form cable-like cables. Each group of wires is insulated from each other and is often twisted around a center. The whole cables are covered with a highly insulated covering layer. The cables are electrified inside. Industrial cable are divided into three types: low voltage, medium voltage and high voltage. The cables used in X-ray machines are high voltage cables, which can only withstand 75KV and 90KV voltage. Therefore, industrial cables used in industry can not be used in industrial X-ray machines. There is no length limit for industrial cable. Cables used in X-ray machines are usually between 2 and 20 meters in length.